Today’s high performing companies know data is king. However, all too often with big data comes big headaches. 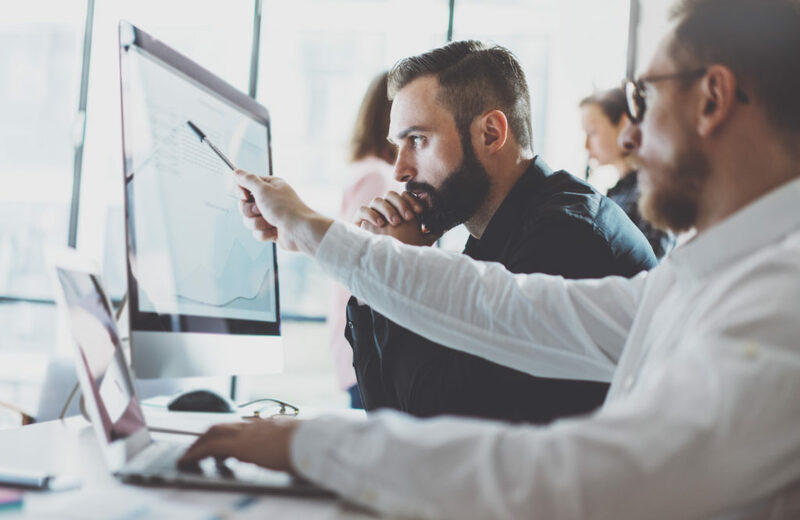 Forward thinking companies recognize the tremendous value in having a cache of data to aid in tracking, budgeting and forecasting, but finding the right solution to manage and use the data effectively can present a challenge. For many IT financial management pros, Excel spreadsheets offer a logical first step. As a company grows, its data grows, and with that comes more data calculations and processes to manage. That’s when Excel breaks down. Larger spreadsheets can manage the data, but big data often requires interrelated data scattered across multiple documents that host a myriad of formulas. The time required to open the file alone can be daunting. Factor in the time to manually input and manipulate data, run models and distribute reports and Analysts can easily spend 75- to 80-percent of their time dedicated to spreadsheet management. Multiple spreadsheets provide numerous opportunities for data entry errors and version control challenges. Plus, there is the added threat that one errant key stroke can inadvertently change calculations, impact data outcomes, and delete historical information. For many organizations the tipping point occurs when time spent managing the data exceeds the value the data is offering the organization. It’s not the data that is the issue, it is how the data is being used – or not used — to propel the company forward. When a Financial Analyst is forced to spend the majority of his/her time inputting data, adding spreadsheets and checking logic — in the role of Excel Jockey – the time available for critical analysis is compromised. The solution? A robust IT Financial Management tool. The right ITFM solution allows organizations to turn their data into insights, and Excel Jockeys back into Analysts. With an ITFM tool, organizations can execute more data calculations, more IT budget scenarios, more forecasting — more IT Financial Management — without an increase in the time it takes to interact with the data. Perhaps the biggest frustration for an Excel-driven IT shop is the time it takes just to simply manage the spreadsheets. All too often, as the volume of data increases, usability and functionality of the spreadsheet decreases. Unlike Excel, ITFM tools are fully scalable. The scalability inherent in a robust ITFM solution ensures that as needs grow the ITFM team can do far more than just keep up — they gain enhanced functionality and accelerated processing. Plus, the benefit of not wasting staff time adding more tabs, updating formulas and cross-checking formulas reaps significant rewards. That’s where spreadsheets falter and ITFM tools excel. While spreadsheets provide a solid tool for a variety of uses, they don’t make data visualization easy. They track and record a lot of data in one place; it can be challenging to understand which pieces of data are important. At the core, ITFM solutions outpace spreadsheets with the ability to provide organizations supercharged analytic capacity paired with the ability to convert ever-growing volumes of data into valuable insights – easily. Activities including cost modeling, TCO surveys, and “what-if” scenarios are executed seamlessly using ITFM tools. Organizations gain the insight to control costs, execute IT budgeting and forecasting processes, and align investments with operational and financial goals. Hello informed decision making, goodbye Excel Jockeys. ITFM solutions mean Analysts can do what they do best, and, according to recent research, the long-term benefits are staggering. The International Institute for Analytics predicts that by 2020, businesses using data analytics will see $430 billion in productivity benefits over competitors who are not using data. While data is king, the importance of communicating the insights within it clearly to everyone within an organization is where the true value of data lies. ITFM systems provide users the ability to leverage the data they have and share it with stakeholders easily through automated reporting. The beauty of automation means that all of the reports that internal stakeholders need can be created and distributed automatically, and the process can be repeated as often as necessary – without additional burden on the ITFM team. ITFM solutions provide incredible benefit to users that include extensive analytic capacity, automation, and scalability, but for many the most significant benefit is the time it saves the team- allowing them to focus on higher value tasks. With an ITFM system in place, Analysts typically spend about 15-20-percent of their time managing data, and 80-85 percent of their time spent working with the data — doing analysis, having meaningful conversations, and propelling the organization forward. If your organization is ready to transform your data into actionable insights that propel your business initiatives forward, it may be time to consider an IT Financial Management solution. See how an ITFM tool can help your team tap into the potential of powerful reporting capabilities to achieve true data insight by taking a test drive with Nicus.